Little Nature Lover Onesie, 0-3 Mo. Home / Little Nature Lover Onesie, 0-3 Mo. The ideal onesie for future nature lovers! 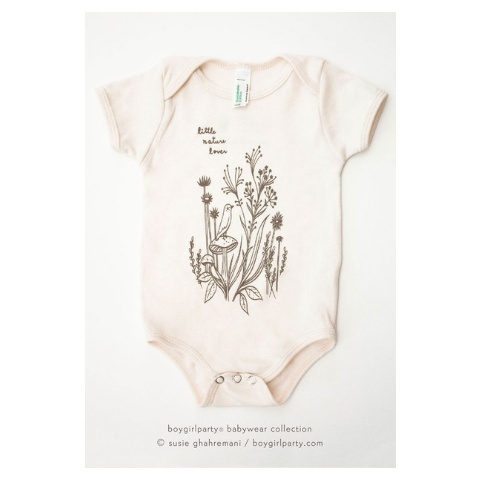 100% organic cotton baby onesie by Susie Ghahremani / boygirlparty® -- Fair trade, eco-friendly - durably screen printed with original artwork.